Stacy has a background in Cosmetology and teaching and has raised three children. In her spare time she is a dedicated volunteer with Soroptimist International, golf, traveling, and spending time with her family. Sandra has been Dr. Hunts’ bookkeeper since 2005. Sandra’s smile and warmth make her stand out in our staff. Sandra has brought so many great ideas to the office. She plans and coordinates events for the spa, helps with marketing our events, sets up trainings for our spa products, and networks with vendors, as well as managing all of her bookkeeping duties. The office is a better place for having Sandra. She is dedicated to her family, and in her free time is a wonderful cook. Karen has done medical billing for 15+ years. As medical practice and reimbursement is ever changing, we are extremely lucky to have someone as conscientious as Karen. Her hard work and determination to get maximum reimbursement is priceless. In her free time, Karen spends time with her husband, kids and grandkids. Jessica has been with Aesthetic Surgical Arts since 2007 and is the lead nurse. She assists in surgery, performs laser treatments, performs cosmetic injections, and is the Cosmetic Coordinator for the surgery center. Jessica’s extensive knowledge of Dr. Hunts’ procedures will help you feel at ease and be informed of the choices you are making. Jessica loves being outdoors and spending time with her family and friends. Meaghan joined Aesthetic Surgical Arts in 2008 as an office assistant. She obtained her nursing degree from Lane Community College in 2013 and a Bachelor of Science degree in nursing from OHSU in 2014. She is the Administrator of the Surgery Center. She and her husband Bob had their first child, Shelby, in 2015 and had their second child, Ryder, in July 2017. They enjoy spending free time together as a family being active outdoors. You can usually find them on their drift boat, mountain bikes or with their dogs. Jessica has been Dr. Hunts’ primary assistant, surgical assistant and medical surgery coordinator since 2004. She will help you schedule your medical procedure and walk you through any concerns or questions in a compassionate, caring manner. Jessica is married to her high school sweetheart, Ryan. She enjoys spending time with her family and friends and has one son and one a daughter. 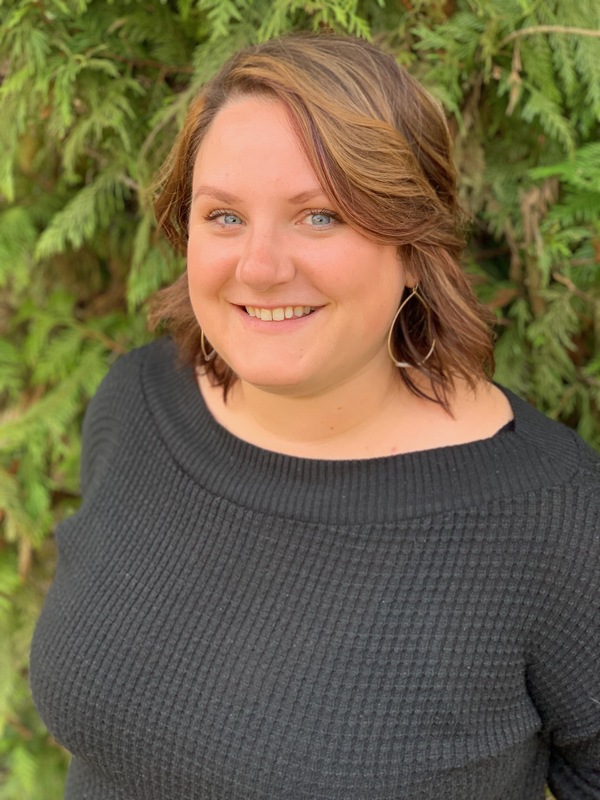 Brooke obtained her certification as a Medical Assistant from LCC and gained her first work experience as an assistant with Northwest Surgical Specialists. Her compassionate nature and friendly personality make her a great fit at ASA. During her free time she enjoys spending time with family and friends, camping, snowmobiling, and working at the Cottage Grove Speedway in the summer. Heidi received her certification as a Medical Assistant from Linn Benton Community College in 2015. She comes to us with experience working as a CMA for Oregon Heart and Vascular at Riverbend. Heidi also has 5 years’ experience as a CNA2 in the cardiac ward at Riverbend. She is very caring and friendly making patients feel at ease. She loves the outdoors and enjoys hunting, fishing and camping with family and friends. Cheryl joined Aesthetic Surgical Arts in 1999 and has been performing spa services ever since. She is loved by her clients and strives to put people at ease, while helping them learn to take care of their skin and the investment they have made in themselves. Cheryl enjoys spending time with her friends and family, especially her children, Alex, Kinsey, and Katie. Stacie joined our team in 2005 as a front office assistant. Today she is the Administrative Assistant for Dr. Hunts’ clinic. She assists with the workflow for both clinic and front office. She also supports the insurance and billing office. Stacie enjoys everything outdoors, especially camping, hiking, and floating the river. She also enjoys spending time with her friends, family, and her two puppies Rylie and Lexi. Ashley joined Aesthetic Surgical Arts in 2013 with 6 years’ experience as a Medical Receptionist. Today she is front desk supervisor and will welcome you with a warm smile. She enjoys spending time with her son, Brayden hiking, bike riding, and fishing. She also loves teaching spin classes every Saturday at a local gym. Katelynn has been with us since 2015 first as a receptionist and now as our Insurance Coordinator. You can be certain that she will address your needs with efficiency and accuracy. In her spare time, she enjoys cooking, running and spending time with her husband and two daughters. Wanda has been with Aesthetic Surgical Arts since 2016. She has a background in customer service and is passionate about helping others feel valued an appreciated. Her enthusiasm is evident in all that she does. In her spare time she enjoys travel, gardening and spoiling her grandchildren. Christina is a licensed massage therapist as well as a lisenced esthetician. She has a myriad of modalities to help clients feel amazing. Among her favorites are hot stones, mayofascial sculpting (Cupping), trigger point therapy, disturbance of membrane repair, foot reflexology and pregnancy, birthing and post partum massage. She utilize hot towels to harness the power of heat and relaxation. When she is not pampering and caring for her clients she enjoys spending time with her husband and family. She also loves creating works of fine art in watercolor, acrylics, oils, and pen and ink. Christina has four beautiful cats, and a loveable golden retriever. She loves to travel and being in nature. She also enjoying the phenomenal wineries in the Willamette Valley. Michelle is a recent graduate from Lane Community College’s Nursing Program. She comes to ASA from Riverbend where she worked as a CNA2 on Orthopedics and OHVI4. Now that Michelle is finished with Nursing School, her free time is dedicated to her husband, Shawn and daughter, Rosalie. She also enjoys spending time with friends & family, reading, camping, going to concerts, and cheering on the Oregon Ducks. Carolina is our newest receptionist. Her favorite moments are spent with her big Peruvian family filled with laughter and delicious food. Her passion is fueled by traveling and learning about new cultures. Being bilingual in Spanish and English, she is an active member of the Latino community and volunteers to different nonprofits. She is currently engaged to my sweetheart of 9 years. Tracee comes to our clinic with over 5 years experience as a medical receptionist. Along with being one of the faces at the front desk, she coordinates insurance referrals in addtition to verifying eligibility and benefits. In her spare time, she enjoys speding time with ther family and her dogs. She’s also a big sports fan, always supporting her teams, the Portland Trailblazers and Oregon Ducks. Shawna obtained certification from LCC and gained her first work experience in 2014 as a optometry tech in Texas. She furthered her experience into Opthalmology after moving back to Oregon in 2015. She enjoys family, friends, hiking, volleyball and riding UTV’s at the coast.